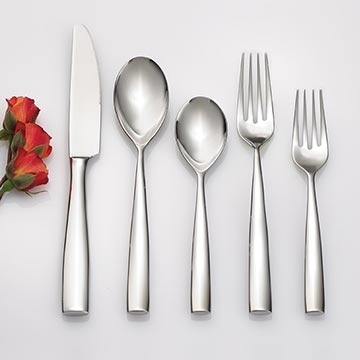 Cardinal's Arcoroc Liv flatware pattern has a sleek, elegant style. A perfect combination of sophistication and symmetry, this modern classic design offers a sharp, square, straight line tapered handle and a shined mirror finish. Each piece looks wonderful on the table and feels even better in the hand.